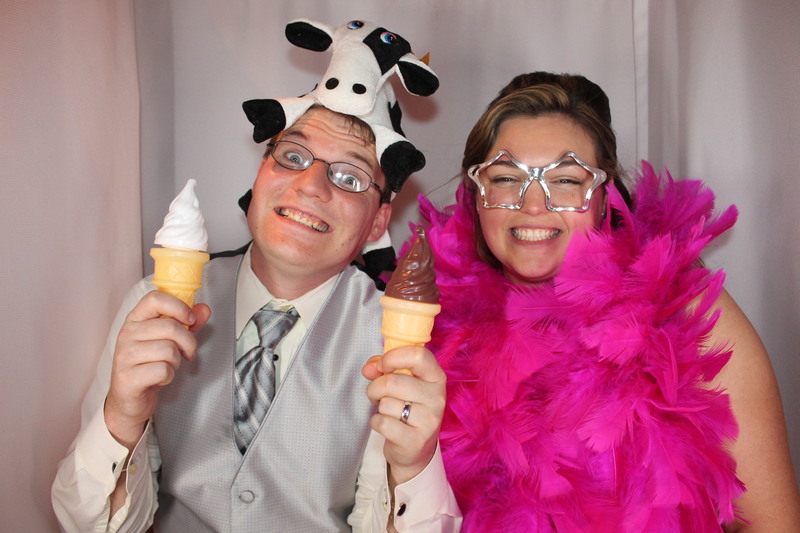 Fun, fun and fun, the photo booth wasn’t empty for a minute at Brittany and Cameron’s Royal blue Wedding. Everyone had so much fun with it and came back again and again including two ninety + year old Grand dad’s. We want to thank one young lady, Becky, who helped decorate Brittany & Cameron’s large Memory Album. They will enjoy this forever!